Once invited Please REGISTER HERE. Password emailed. 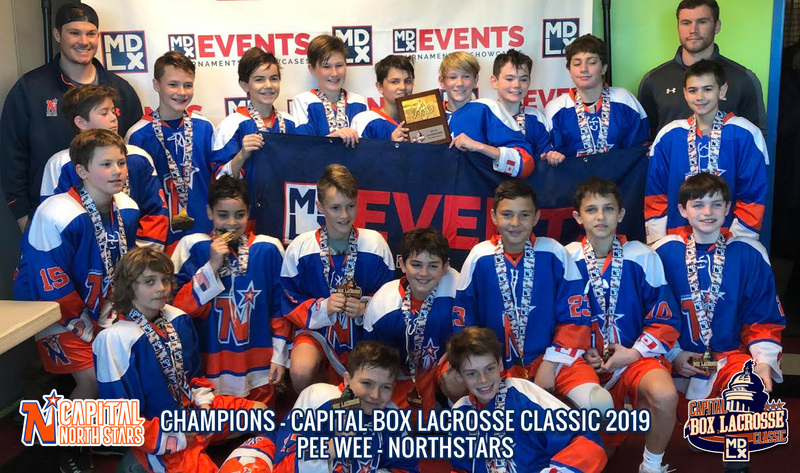 The 2019 season marks our 5th year as a program and the Capital North Stars are now recognized as one of the strongest box programs in the US! 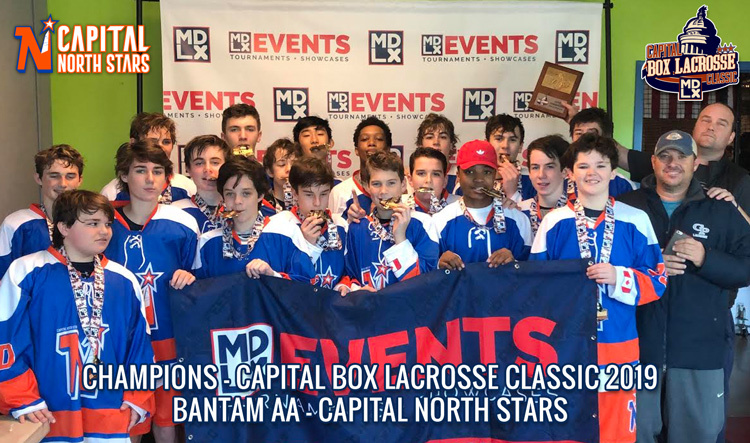 The Capital North Stars are proud to be the first Canadian box lacrosse travel all-star program in the greater DC Capital area and one of the first in the US! Founded in fall 2014, these North Stars travel teams are OPEN TO ALL PLAYERS FROM ALL field club programs in the region! To be clear, your son does NOT have to be on Madlax All-Stars field team to play. Box Lacrosse is a different sport with unique aspects so we want every boy to be able to take advantage and enjoy playing on one incredible team! 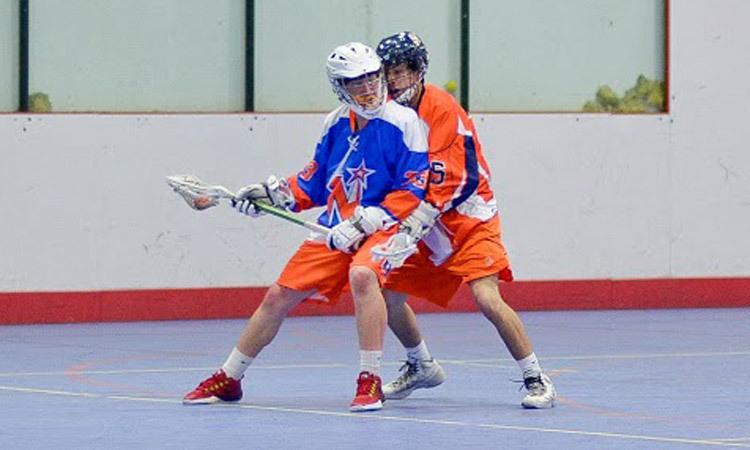 Box lacrosse is the best way for young players to learn how to play the game. There are fewer players at one time, boys get more touches on the ball, the walls keep the ball in play, boys develop their stick skills better in tighter spaces, and it is fun to play! This is why you see so many Canadian players dominating the NCAA college ranks these days. 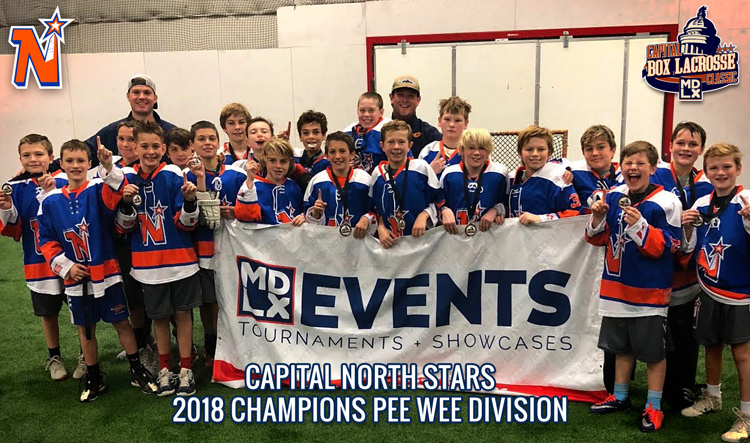 They grew up playing mostly box lacrosse and it shows through their superior skill sets, specifically around the crease and in tight spaces. 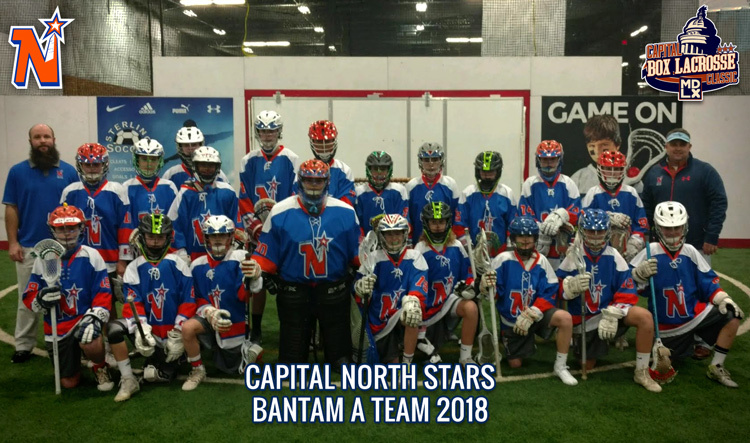 There are very few programs that teach authentic box lacrosse with the same level of quality coaching that the Capital North Stars do and will for years to come. Ever since Canada beat Team USA in the field lacrosse World Championships in July 2014 there has been a global trend for more Box Lacrosse. Even though Canadians have been having success in colleges since 2000 (ie: North Stars Director & Box Lax Expert Joe French) it has become extremely clear there are massive benefits to playing box lax. Clearly if you possess skills like Canadian box players college coaches will notice and you will become a more valuable recruit! So, if you want to become the best possible lacrosse player who can succeed in the modern field lacrosse game at the highest levels, you NEED TO ADD BOX LAX skills and concepts to your game! Register for tryouts today! Coach Desko, Syracuse Head Coach, " All young kids should play box lacrosse first." 1. 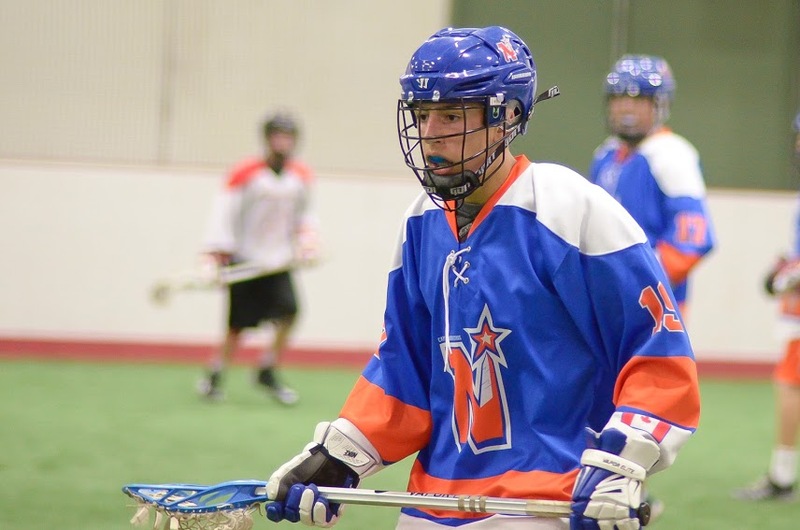 Be a stand out player in the CBLL-Capital Box Lacrosse League. Register for the CBLL HERE TODAY before it fills up. 2. Be a stand out player from a past NorthStars team. 3. Be a recommended player. An outstanding field player who wants to develop their all-around game and play elite level Box Lax. 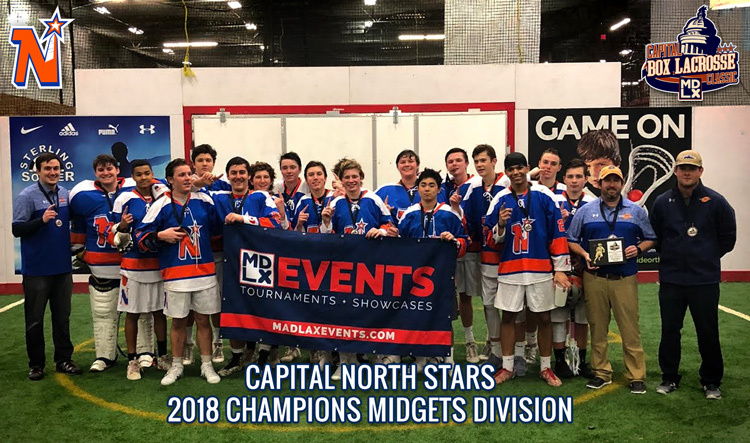 Coaches recommendations can be emailed to, northstars@madlax.com by 1/10/19. 4. Roster Spots are NOT final until AFTER the first (required) practice/tryout on January 13th. Full refunds will be given to those who do not make a team. We are treating this first ever box lacrosse program first class and professionally. Don't miss this incredible opportunity! The logo is a tribute to DC with the Washington Monument, the North land (or Canada) where Box Lacrosse is king and All-Stars which is what the players who make up the teams will be!